Charmed Life is an independent writing and production company in the East of England. 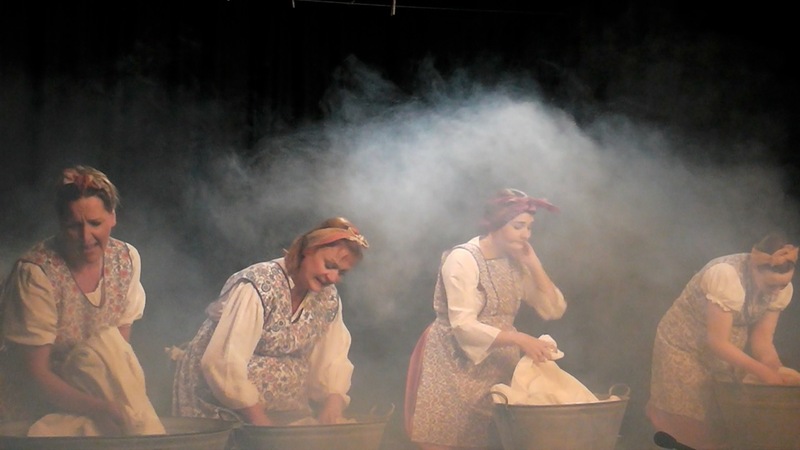 We are the in house professional company at Bungay’s Fisher Theatre. We create film and theatre, and are rapidly developing a reputation for developing first class new writing. We seek out and support talented writers to develop and produce innovative new theatre, focussing on particular themes of unexplored local, or historical interest – stories as yet untold or not widely performed. Charmed Life is an exciting new venture for three Bungay women who work together to write and produce new drama and film. Our core writers and production team leads are Hilary Mason, Diana Cook and Cathy Gill – visit our Team page to learn more. Cathy is also our principal theatre director. We work as a partnership, co opting people with particular skills and enthusiasm to bring innovative ideas to fruition. 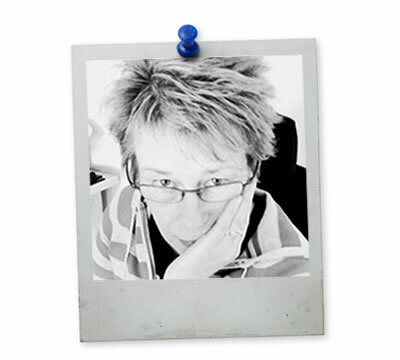 As well as being one the three dreamers behind Charmed Life Productions Hilary is the founder and managing director of Multiple Learning Solutions (MLS), an educational consultancy providing creative services to schools, colleges, government departments, global businesses and charities. 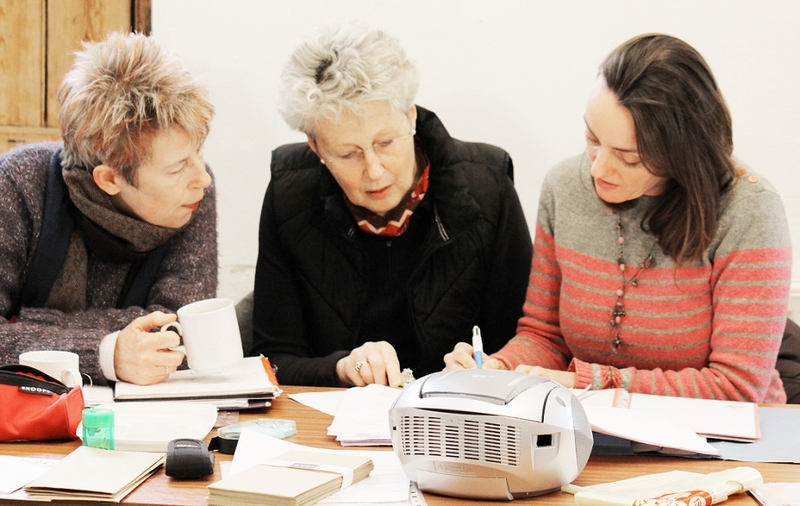 Hilary runs MLS from Bungay and manages a team of twenty writers and training facilitators. MLS devised and wrote the official London 2012 education programme, Get Set which reached 6.5 million children and young people in the UK and globally, making it the most successful education programme in modern Olympic history. Other clients include the Prince’s Trust, Deloitte, the Co-operative Bank and the Department of Health. Before becoming a business person Hilary was a teacher working in schools in the UK and overseas in the Sultanate of Oman. During her seven years in Oman, Hilary helped to set up a new school – literally in the desert – co-funded by Omani and American backers. She also wrote three pantomimes for school staff to perform to the children, including Snow White, where she appeared as Dopey the dwarf, Cinderella on a Skateboard and Aladdin. When she’s not running a business or playing golf Hilary is happiest writing original drama and children’s stories. She is currently working on a TV drama series about the corrupting power of the Olympic and Paralympic Games and the worship of celebrity. Diana is a safety training professional who was a safety and survival instructor in the offshore and marine industries for many years. She trained people how to escape from ditching helicopters, how to survive in cold water, basic fire fighting and first aid, and how to abandon oil and gas rigs in enclosed lifeboats. When going to sea and working outdoors in all weathers finally lost its appeal, Action Woman Di took a ‘gap year and a half’ with the Broads Authority, patrolling Breydon Water and the broads rivers of Norfolk and Suffolk in a shiny launch. Ten years ago she started work as a Health and Safety Advisor for a large public body responsible for protecting the environment. She is now a training manager with country wide responsibility for anything and everything to do with keeping a large national emergency workforce competent and safe. A qualified scuba diving instructor and ex marathon runner, she will nowadays probably be found gardening, or as one of the volunteer army at her beloved Fisher Theatre in her spare time. 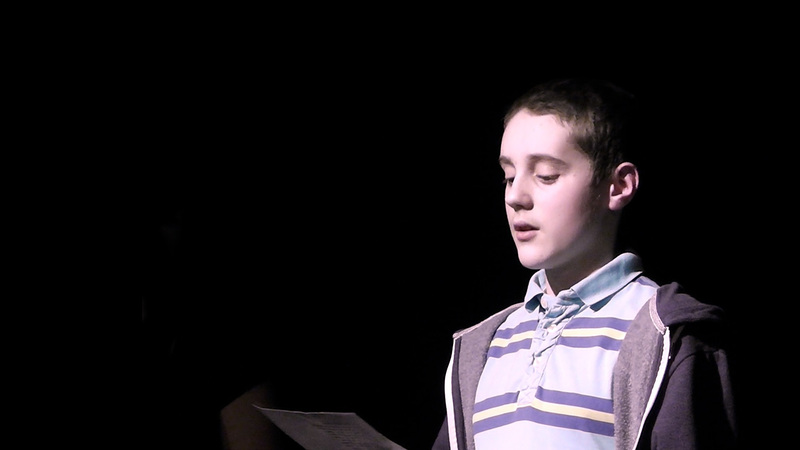 The theatre has sparked her interest in writing and finding new creative ideas for communicating through performance. 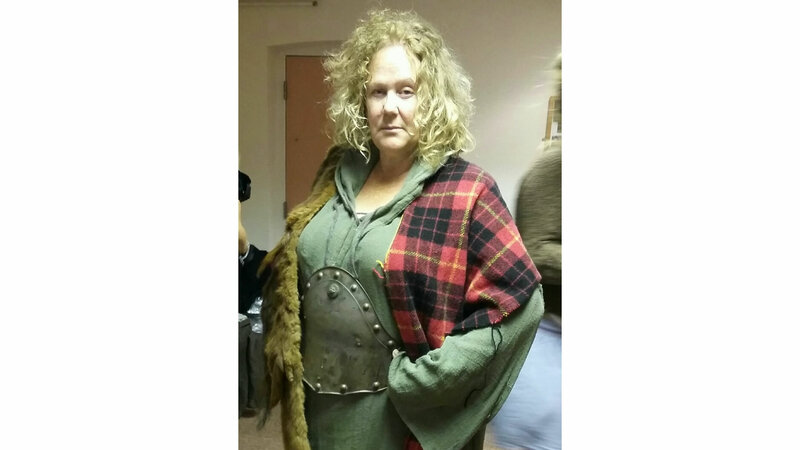 Having started out as an illusionist’s assistant, and been fired from a cannon in a circus, Cathy got a degree, did a drama training, and has worked in the theatre ever since as an actor and as a director. 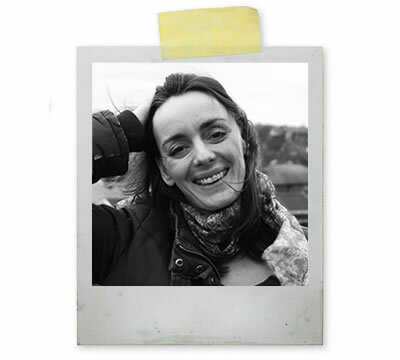 After years working from London, a professional theatre life which involved a lot of time away on tour, she moved to Suffolk and there began to focus more on working with local professional and community theatre groups, and with children and young adults. 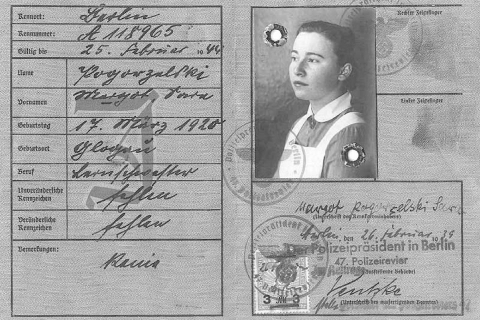 She also started up Classic Theatre, which produced acclaimed small-scale productions. As an actor and director she has worked on all sorts: great classics, modern plays, adaptations, children’s theatre, large scale tours to fabulous regional theatres, studio and site-specific productions, open air theatre, two-handers and huge community productions. She has also directed several new plays. The educational aspects of theatre are rich and exciting, and Cathy regularly directs youth theatre productions. She also teaches drama, tutors students for exams, in particular via the LAMDA syllabus, and is experienced in leading theatre workshops. 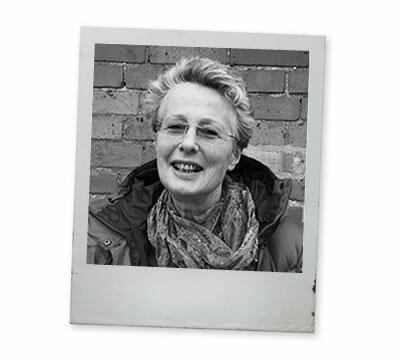 She has a long association with the wonderful Fisher Theatre in Bungay as a Trustee, and is also an Associate Director of Suffolk-based Open Space Theatre Company. 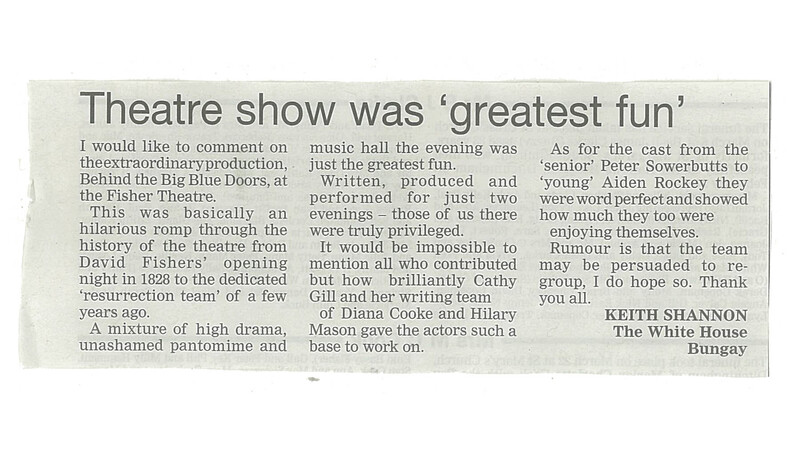 Charmed Life is a new production and writing company based at the Fisher Theatre in Bungay. 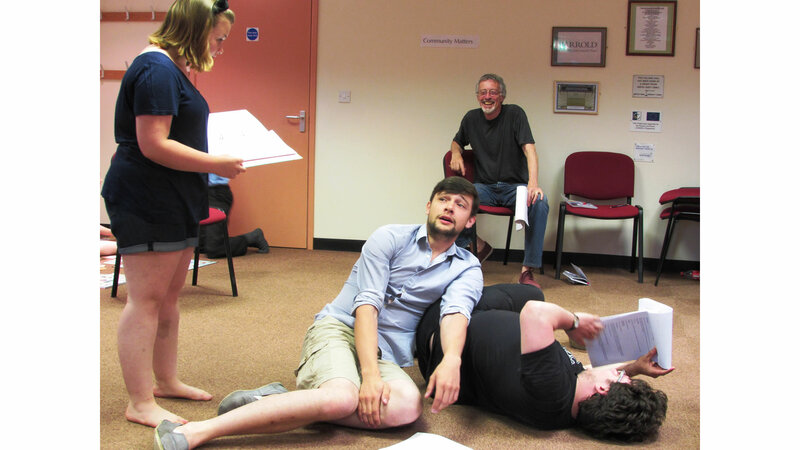 We write our own plays for performance, and also seek out and support talented writers with a tale of their own to tell, with the aim of developing and producing innovative, dynamic theatre and film for a wide audience. We are inspired by themes with a local or historical interest, we love unravelling myths and legends, we delve shamelessly into the unexplored lives of the great and the forgotten – and above all we are drawn to stories as yet untold, or not widely performed. In creating these plays we aim to bring creative people together, release untapped potential, and work with others in the community to tell stories in a new way. We tour our public shows to theatres and arts centres both locally and nationally taking with us our unique blend of quirkiness, style and theatrical magic. There is a kind of alchemy in the creation of fantastic theatre – this is what we love, and with it we hope to be able to dazzle and intrigue audiences of all ages and backgrounds. Why not come and be a part of it! Charmed Life is passionate about bringing the magic of theatre into schools. We write and produce performances and teacher packs for primary and secondary schools designed to add new vigour to national curriculum subjects including literacy, history, geography and personal, social and health education and religious education. So if you’re looking for a refreshingly different assembly, a full scale drama, workshops or the perfect end of term treat we’d love to hear from you. 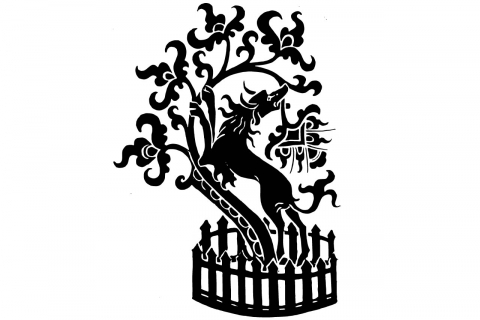 Bloodthirsty wolf… dastardly, marauding canine… the dreaded black shuck… Bungay’s infamous Black Dog refuses to lie down. 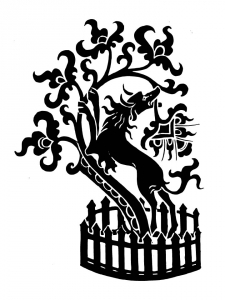 But what if Black Dog has been much misunderstood? What if there is another side to this ghostly beast? What if he is a dog on a mission to avenge his master King Edmund? 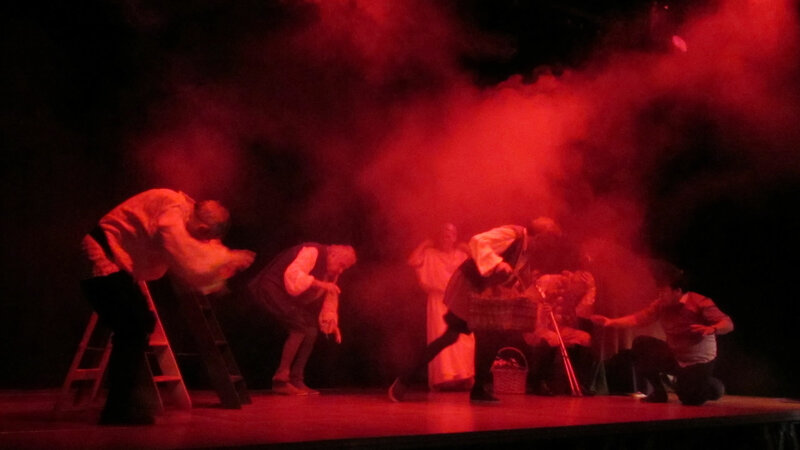 In this new interpretation of one of Suffolk’s most famous myths we dramatise the Story of King. Edmund and the relationship that just might have been between the king who became a saint and Black Dog. 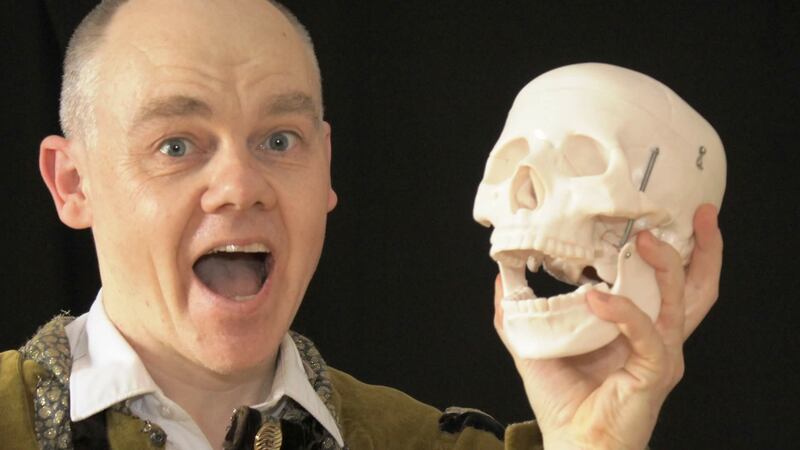 Created for 7-11 year olds ‘Black Dog Bites Back’ is a complete teaching and learning resource including a 20-minute drama performed by professional actors and a teacher project pack covering literacy, history, geography, religious education and personal, social and health Education. Perfect for assemblies or as a launch pad for project work inspired by local history, myths and legends. Charmed Life offers a range of professional services to businesses. We work in partnership with you to create development programmes which are tailored specifically to the needs of your company. We can create personal skills programmes, and we have particular expertise in good communications, and behavioural safety techniques. The way that individuals deal with others can make a huge difference to company performance. We work with people at all levels – individuals, teams, leaders and managers. We will help you to identify training needs, and devise development programmes which are focused, tailored and innovative. People learn best through experience, and we use techniques such as simulations and actor based role play so that people can practise new skills in a safe and controlled environment. Charmed Life can improve your presentation skills – the World Beyond PowerPoint- and we can re write your company documentation to remove the corporate jargon which so often sets people’s teeth on edge. Talk to us about how Charmed Life can help improve your business efficiency through behavioural change. Do you have a story itching to be told, an idea that’s ripe for development or a script looking for an audience? The Charmed Life team would love to lend a hand. We provide script editing, directing and marketing services as well as support with casting, stage management and set design and realisation. David Fisher, illustrious actor-manager of the original Fisher Theatre has returned! He has plans to stage a glittering production of Hamlet, and has called upon the greatest actors of all time to take part. Alarmingly, none of them turn up. Another whimsical, hilarious production from Charmed Life, written especially to celebrate the 10th anniversary of the re-opening of the Fisher Theatre. We’re delighted to be able to show you our latest project – a short promotional film for local healthcare trust. 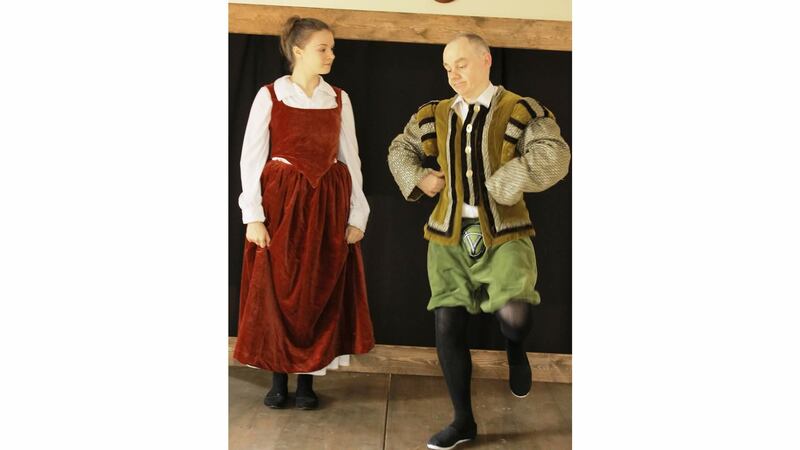 ‘Hey Jig-a-Jig!’ is the story of Will Kempe and his extraordinary nine day dance from London to Norwich in 1599. It’s not just a comic retelling of the Kempe story, it also touches on his darker and sadder side. The Nine Day’s Wonder jig to Norwich came as a direct response to his falling out with Shakespeare and Burbage at the Globe, where Kempe had been the lead comic turn for some years, but his constant grandstanding and straying from the script infuriated the other shareholders, and Kempe left, under a very dark cloud. The madcap dance to Norwich was Kempe’s way of restoring his reputation – he was immensely popular and was followed by delighted crowds along the way – and it is that feat that has secured his name in history. Hey Jig-a-Jig! 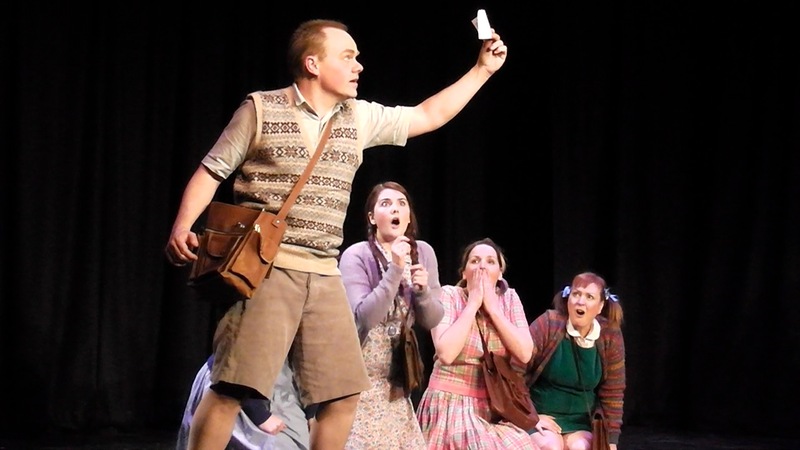 opened at the Fisher Theatre and then toured various venues in Norfolk and Suffolk during June 2014. 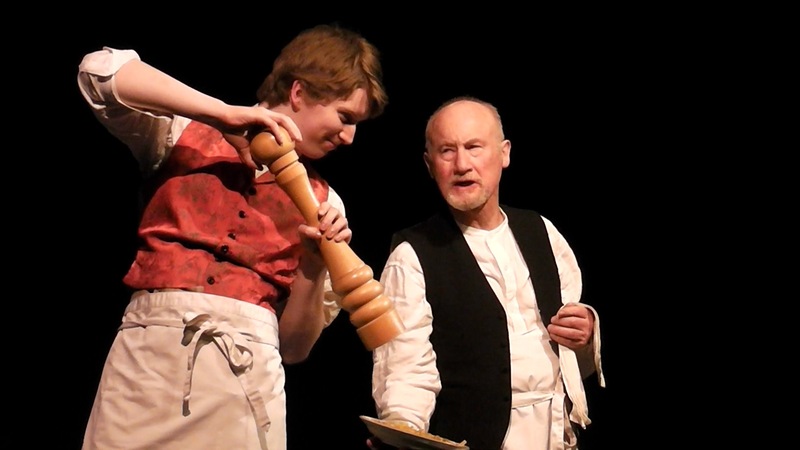 When a teenage boy breaks into the theatre to retrieve his mobile phone he gets more than he bargained for… he awakens the spirit of David Fisher, the theatre entrepreneur who built 13 theatres in East Anglia in the 19th century. 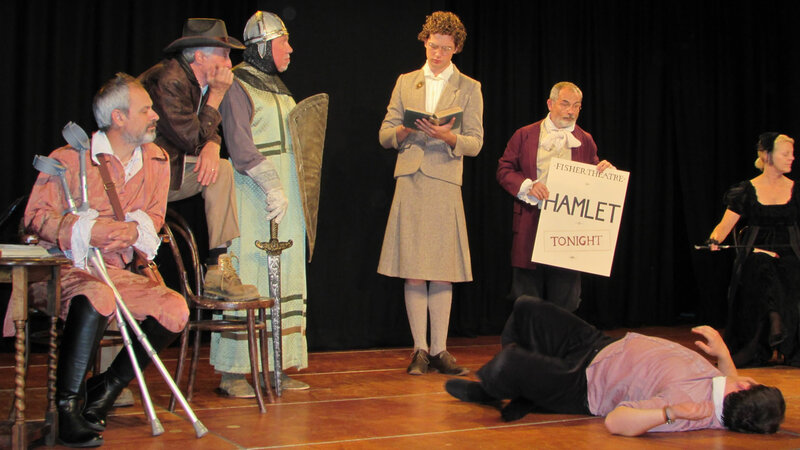 The audience is taken on a fast, furious and hilarious journey through the life and times of Bungay’s Fisher Theatre, from the opening night in 1828 right up to the present day. Now the only remaining example of a thriving Fisher Theatre and restored to its former glory, the building has variously been a corn hall, a cinema, a skating rink and a textile warehouse. 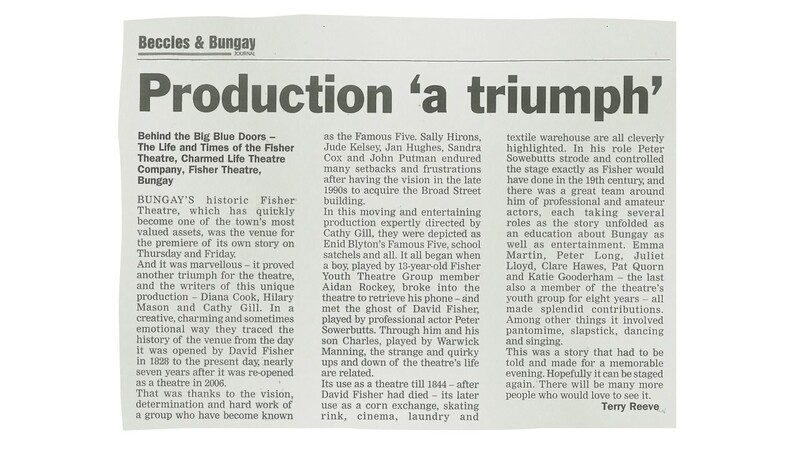 Behind the Big Blue Doors was a celebration of the Fisher and in two sell out nights raised £2,500 to help keep the theatre alive and kicking. Written and performed in collaboration with Cambridge-based women’s theatre group the Freudian Slips. Otherwise Engaged is a hilarious and poignant exploration of women’s often thwarted creativity. During the performance the audience weaves a giant woollen web which forms the backdrop to the show. The action includes singing, dancing, hilarious sketches, poetry and life-sized puppets. 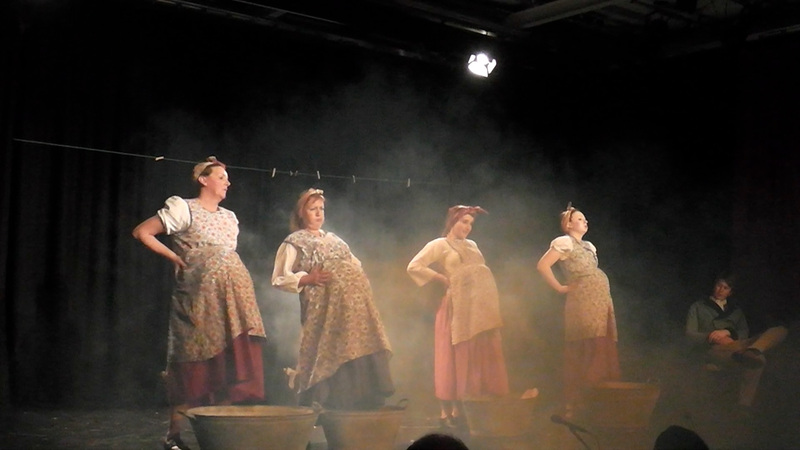 In the final scene the cast creates three art installations depicting the life of women in our times, which include everything – including the kitchen sink! 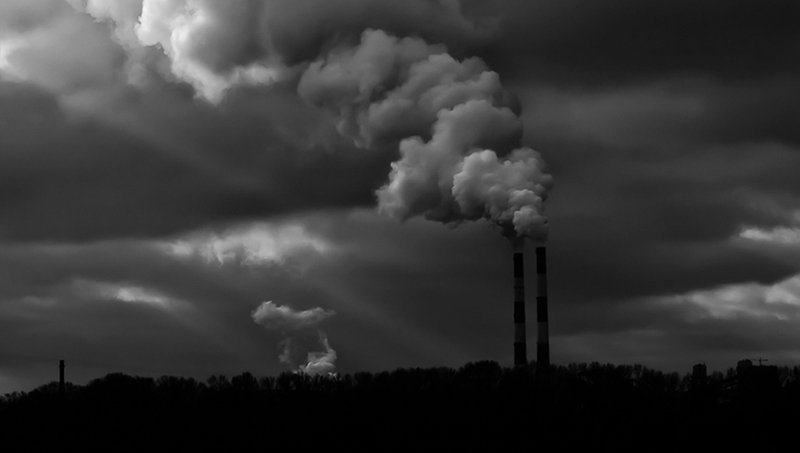 Commissioned by the energy company E.ON, ‘The Town of Total Darkness’ is a cautionary tale for 7-11 year olds about mankind’s over-reliance on fossil fuels. 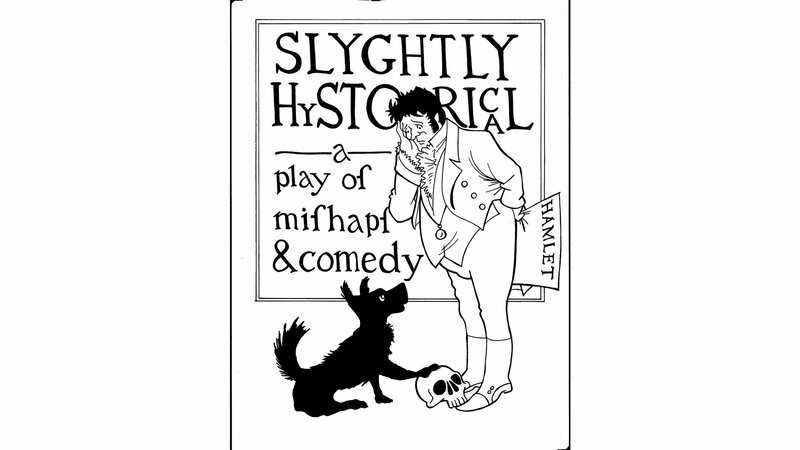 The 30-minute play is told as a who done it where Sherlock Holmes meets Dr.Who (and his faithful dog K9) and together the solve the mystery of why a town has suddenly been plunged into total darkness. 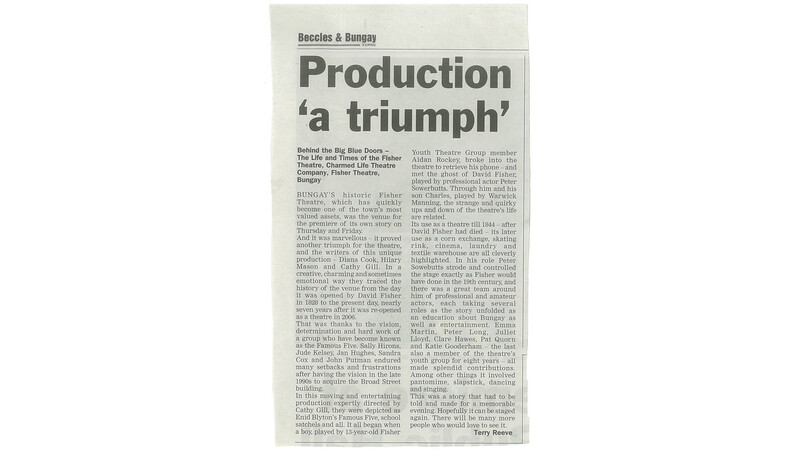 The play toured UK primary schools for two terms and went on to win the IVCA award for the best environmental drama for education. Captain Greenbeard, Briny Surfrider and the crew of the Flying Porpoise are preparing for their next voyage to Antarctica. Their mission is to protect the planet from environmental disaster. They must stop Poll Ooshun and her crew from depleting the sea of krill and turning them into fast food krill burgers. If Poll can claim the waters of Deception Island before Greenbeard can stop her by serving a Notice to Protect the Seas she will cause environmental havoc. A chase across the southern seas ensues before Poll recklessly collides with a giant iceberg. The play is written in free verse form and also includes passages of structured verse, especially when the crews of The Flying Porpoise and Krill Hunter chant sea shanties as they sail towards Antarctica. 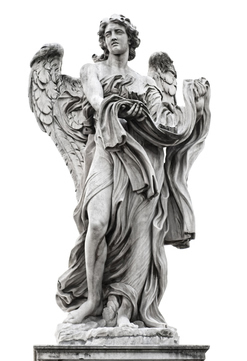 We are indebted to our Angels (you know who you are!) – delightful people who believe in us and have enabled Charmed Life to become more than a dream. If you would like to support a particular project, we are actively looking for partners who can support us either financially, or with particular skills. We love finding creative ways of working with a whole range of people. Do you have a skill, idea, or a spare pot of gold you would like to share with us? Join us for a cup of tea and a bun. Give us a call on 07462814600. If you would like to be kept informed about new projects, join our mailing list. We promise not to fill your inbox with rubbish. We will keep your details securely, and we won’t share them with anyone else. Do you have a fantastic idea, or are you an actor, stage manager, prop or costume maker or a set designer? Maybe you’re just interested in finding out more about our work? We are always keen to welcome and work with new people. Call us for a chat.